Jesuit campuses across the nation are organizing for more just migration policies, more hospitable campuses, and more humane conversations about migration and people who have immigrated. Recognizing the growing energy of this movement, the Ignatian Justice Summit on Immigration seeks to connect student leaders in these efforts for four days of networking; sharing hopes, challenges, and best practices; sharpening organizing/advocacy skills; praying and learning about the Ignatian call to work for justice; and committing to taking coordinated, collaborative action on immigrant rights upon returning to campus. Through a series of case studies on successful migrant-related efforts on Jesuit campuses, and small and large group sharing sessions, participants will gather innovative organizing ideas from the broader network to utilize on their home campuses. Every session includes opportunities for students to apply practical analysis/planning skills and share their insights with the larger group. By the end of the program, students will gain a more thorough understanding of current immigration policy, insights on where and how to take action, and increased abilities on basic organizing skills to aid them in any community efforts. 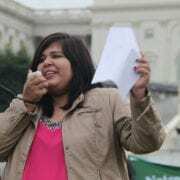 Miriam is an undocumented woman of color born in Guanajuato, Mexico. At the age of eight, she migrated to California along with her family. She is currently a senior double majoring in Politics and Latin American Studies at the University of San Francisco. 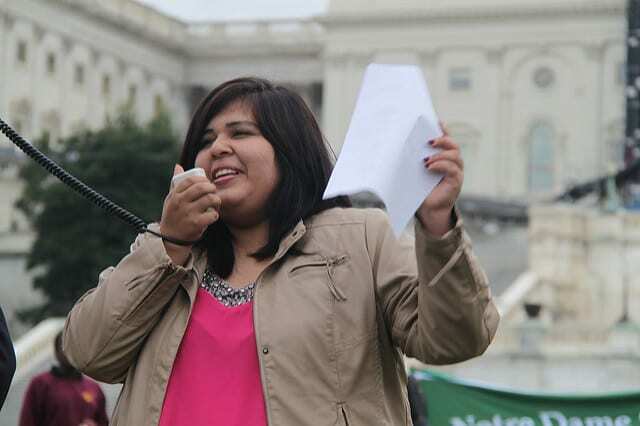 Through her experiences in the Undocumented Student Task Force at USF, being a Dream Summer Fellow, and working as an interpreter for asylum cases she has found the power of storytelling in social movements. As an advocate for her undocumented community, she has pushed for a more inclusive campus, a scholarship fund dedicated to undocumented students, and for USF to be declared a sanctuary campus. In the future, she hopes to become an immigration lawyer and continue with her advocacy work fighting for immigrant rights. Although her future is uncertain at this point because of her DACA status, Miriam will continue to fight for everyone in her undocumented community. 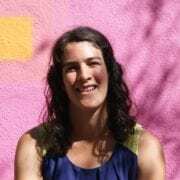 Joanna is a graduate of Georgetown University and is currently the Director of Education and Advocacy at the Kino Border Initiative (KBI) in Nogales, Arizona and Sonora. Prior to her current position, she had journeyed with immigrants in a variety of contexts, including volunteering at a shelter in Tierra Blanca, Veracruz, Fulbright research on the reintegration of deported and return migrants, and work as a program assistant for the American Civil Liberties Union’s Border Litigation Project. Marcos Gonzales is a proud Chicano, born and raised in the San Fernando Valley of Los Angeles. He received his BA in Theology and Master’s in Education from Loyola Marymount University, where he would first meet the Jesuits. He served as a Jesuit Volunteer in Micronesia and was Director of School Counseling at San Gabriel Mission High School through LMU’s PLACE Corps program. He entered the Jesuits in 2011. As a Jesuit Marcos has been committed to seeking justice through his work with the Jesuit Restorative Justice Initiative, fighting for immigration reform with Jesuit Migrant Services. He recently completed his Master’s in Social Work at Loyola University Chicago, where he was a founding member of the Social Workers of Color Alliance. His critical consciousness deepened while working with youth involved in the juvenile justice system through Cook County’s Juvenile Probation Department in Chicago’s South Side. In 2015, Marcos moved from Chicago to Los Angeles to work as a case manager and member of the local organizing committee at Homeboy Industries. He now works in the Office of Faith and Justice at Brophy College Preparatory in Phoenix. Note: If needed, you may opt to pay the registration fee (minus a non-refundable deposit) in your institution’s 2018-2019 budget year. Scholarship Available: Scholarships are available for students who represent vulnerable populations, including those whose families have limited financial capacity, as well as those who have limited access to long-term legal immigration status (ie. DACA recipients, TPS holders, etc.) or who have family members in similar situations. Questions: Please contact Kim Miller at kmiller@ignatiansolidarity.net or (216) 397-2080. Due to the nature of the ISN University Leadership Summit, and the expectation of participants to translate their experiences into programs on-campus, ISN seeks students who will be on their college/university campus for at least one semester during the 2019-2020 academic year. Schools may send up to 6 students. Ideal Ignatian Justice Summit participants are currently involved in organizing for immigrant rights on campus. They are both recent immigrants and allies, who have a commitment to continuing their work for more just campuses, communities, and policies. Our participants should seek to both grow in their understanding, ideas, and convictions, as well as be willing to share their insights with fellow leaders. How did the University Leaders Summit spark Devan’s work for justice?